Day of the Dead is themed around the Mexican dia de los muertos. With nice art and good graphics this slot makes an excellent first impression, but a lack of features and low RTP end up damning it to the less-good afterlife. Now a little over five years old, Day of the Dead has managed to hang on despite never being one of IGTs biggest titles. Which is a shame, because it's a bright and cheery look into the skull sockets of mortality. With the symbols all themed around the Mexican Day of the Dead celebrations, including symbols of pan de muerto and skull faced revellers, it evokes the party atmosphere of Cancun on the 2nd of November. Jump on in and enjoy life (with the dead) while you’ve got it! 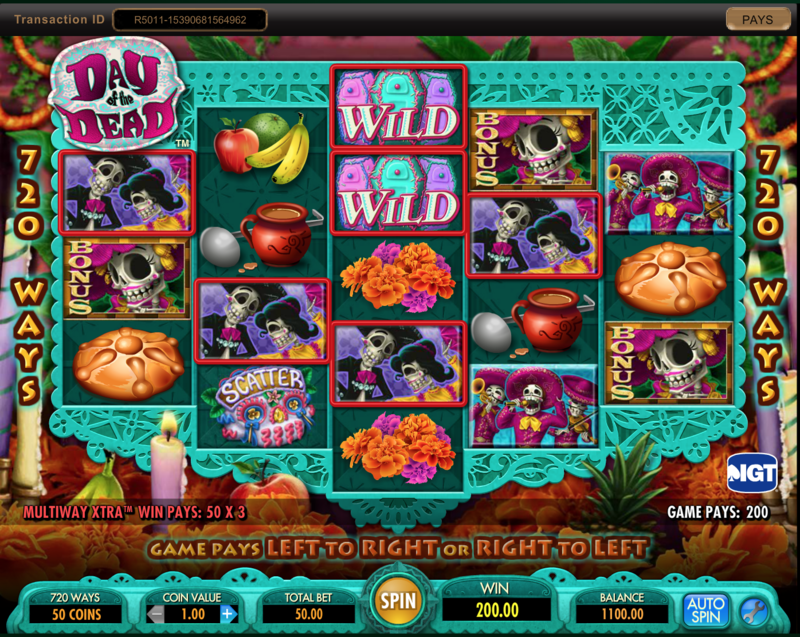 The graphics are the kind of bright images associated with the parades held on the Mexican Day of the Dead festival. Garish without clashing the whole screen is full of colours and patterns. All of this is cleanly animated with clarity that seems almost impossible when there is so much going on. The soundtrack of mariachi music is a perfect fit for the theme and manages not to irritate or sound too much like elevator music. 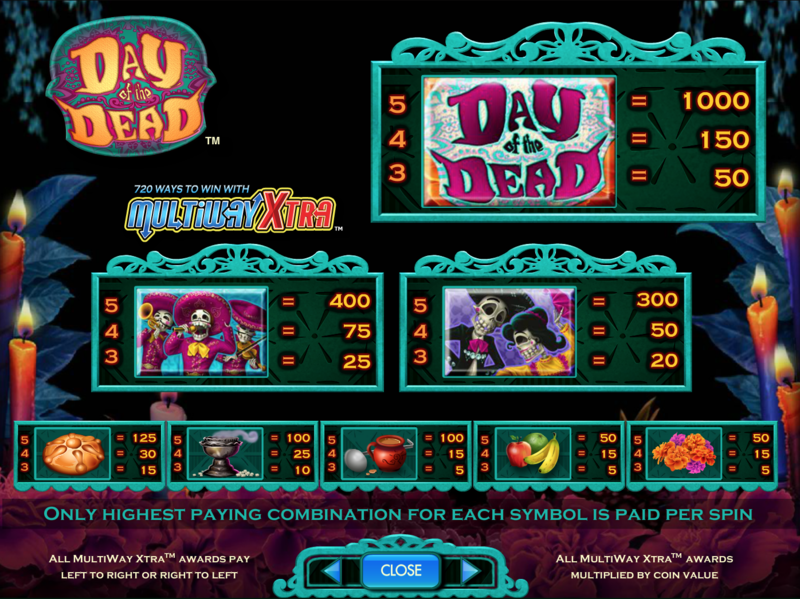 The gameplay is built around IGT’s multiwayXtra system where wins are made by matching symbols anywhere on consecutive reels. These play starting either from leftmost reel to the right or from rightmost reel to left. The reels are arranged on a pattern of 3-4-5-4-3 symbols. This works out as the 720 ways to win overall. The only bonuses are free spins and are pretty hard to hit. So the gameplay does tend to be monotonous. There are three special symbols. 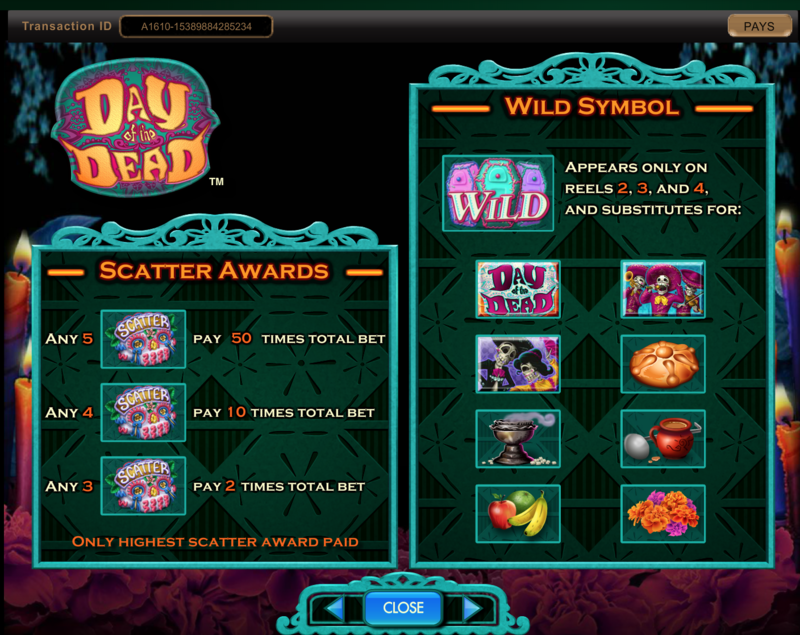 Bonus symbols will get you 8 free spins, but Bonuses are hard to hit. You gotta get 5 in a row just to get 8 measly spins, and makes no real difference to the payouts. 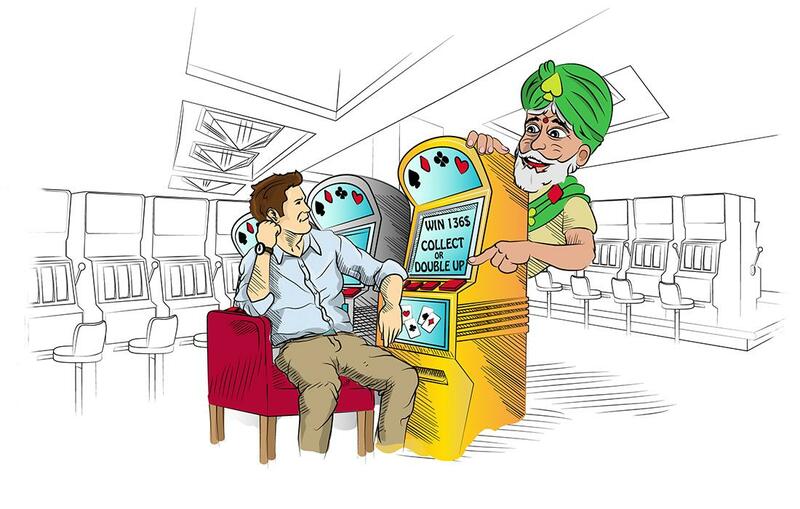 But the opportunity to multiply up your number of spins by hitting multiple combos or catching another 5 in a row during the bonus rounds should lure you in. The other special symbols are a standard Wild symbol which allows you to complete combinations in any direction, and a scatter which will pay out if you get 3, 4, or 5 symbols on any reel. 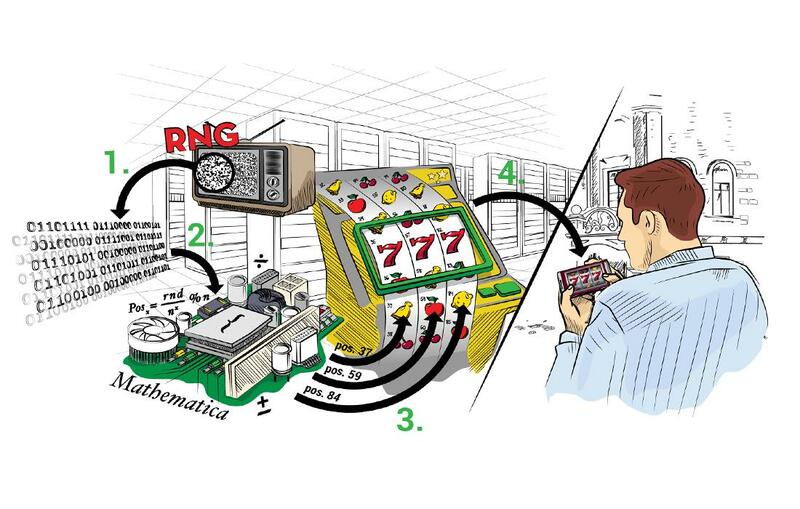 The Scatter pays out at 2x the bet per spin for three symbols, 10x for four, and 50x for five. So far, so basic. The RTP on this game is 94.91%. This is right at the low end of what we might consider playing. However, when coupled with a medium to low variance as it is in Day of the Dead, the maths does not appal. That 5.09% vig will show up in your pocket book more clearly as a result. 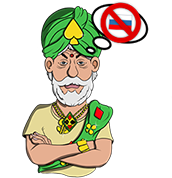 There is a standard bet of 50 coins per spin, so you will find your bet sizing limited by the range of values which your chosen casino provides. The site we tested gave us a bet per spin range from $/£/€0.50 to $/£/€200. Though brilliant to look at and with a nice accompanying soundtrack. This slot’s appeal is all at the surface level. 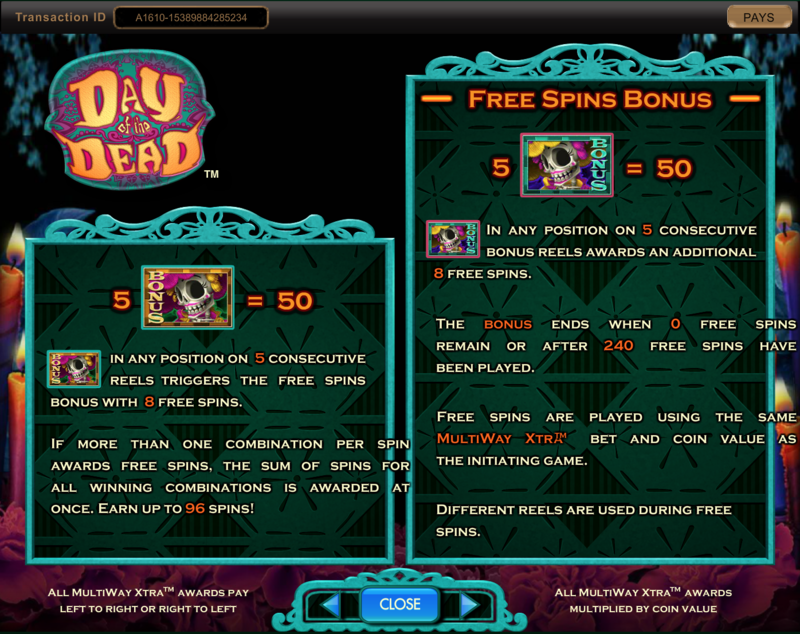 The gameplay is extremely basic with no side games and only one bonus made up of free spins. Even that is incredibly hard to hit. Overall, we’d recommend to live and let die when it comes to Day of the Dead.